Overeating is not the cause of obesity, but rather its consequence – a form of body wisdom caused by dietary fuel being abnormally locked away as fat. The cells of your body don’t have enough usable energy, so you eat more and move less. Sound crazy? There’s actually voluminous research to support this theory. The book starts with a thorough debunking of the idea that saturated fat and cholesterol cause heart disease. I’m not going to repeat all the evidence here (read the book for that), but there is no question that the dietary cause of atherosclerosis is excessive dietary carbohydrate, not excessive saturated fat. In fact, eating saturated fat is protective of your heart. Study after study shows this is true. But unfortunately, before the evidence became so clear, the government and medical establishment made some premature pronouncements about low-fat diets being good for your heart, and now they can’t find a face-saving way to back off from it. In addition to the experimental evidence, there is the cultural evidence. The chapter on "Diseases of Civilization" gives example after example of hunter-gatherer cultures that never experienced heart disease, diabetes, obesity, cancer, or the rest of the diseases that plague our society – until they started eating the Western diet dominated by white flour, white sugar, and white rice. I don’t hold the cholesterol view for a moment. For a modern disease to be related to an old-fashioned food is one of the most ludicrous things I have ever heard in my life. If anybody tells me that eating fat was the cause of coronary disease, I should look at them in amazement. But, when it comes to the dreadful sweet things that are served up … that is a very different proposition. The gigantic mistake that the government and medical establishment made in advising a low-fat diet also affected the advice to people struggling with obesity and diabetes. Doctors who recommended a high-fat, low-carb diet for weight loss risked censure because of the widespread – and erroneous – notion that this was bad for the heart. All obesity research results were interpreted – sometimes tortuously – to be compatible with the idea that carbs are good for you. And one entire area of evidence – the biology of fat metabolism – was completely ignored, because there was no way to reconcile this with the bad advice to eat lots of carbs. When you eat carbohydrates – particularly processed carbohydrates like white flour, white rice, or sugar – your body secretes insulin to remove the sugar from your blood. Insulin is the hormone necessary to store fat into your fat cells, and also inhibits the release of fat from your fat cells. You can’t get fat without insulin, and you can’t lose fat with insulin. Obese people virtually always have chronically elevated insulin levels, a precursor to Type 2 diabetes that makes it almost impossible to lose weight. The only way you can lose weight on a low-fat, high-carb diet is by restricting calories – a semi-starvation diet. Not only is undereating unbearable – for experimental subjects as well as dieters – people almost always regain weight lost from semi-starvation, usually plus some. Study after study shows this to be true, whether you start out fat or lean. So why isn’t everyone fat on a Western diet? People differ in their sensitivity to carbs – they differ in the amount of insulin released after eating carbs, and the sensitivity of their fat tissue to insulin. Some people can eat cake for every meal and not gain weight, but others will quickly fatten on a high carb diet. Unfortunately, people who don’t struggle with weight often have little sympathy for those who do because they don’t understand that their bodies are different. They think they’re morally superior. The nice way of saying "gluttony and sloth" is "overeating and lack of exercise". But however you say it, the fact remains: The common wisdom is that fat people cause their own problem by committing two of the seven deadly sins. No wonder there is so much fat bias. The conventional wisdom is that you get fat if you eat more calories than you expend – the positive caloric balance hypothesis. But the fact that semi-starvation diets almost never produce long-term weight loss strongly suggests that positive caloric balance – overeating and lack of exercise – is not the underlying cause of obesity. A carb calorie has a very different affect on the body than a fat calorie (see above). Energy expenditure is highly dependent on energy intake. Our bodies work hard to maintain a constant body weight. Research shows that if you undereat, your metabolism slows to compensate, and if you overeat, your metabolism speeds up. The idea that you can gain or lose weight over time by altering your intake by 100 calories a day is ridiculous. Your body easily compensates for this small variation (and much larger variations). Growing children have a positive caloric balance. But the reason they are growing is not because they are eating more calories than they are expending. They are eating more calories than they are expending because they are growing. The cause of their growth is growth hormone, not overeating. The same is true in obesity. Obesity is a fat storage disorder, not an eating disorder. The body is storing too many of the calories you eat as fat instead of making this dietary energy available to your muscles and organs. On a cellular level, you are experiencing semi-starvation. So you eat more, and you conserve energy by moving less. You don’t get fat because you’re overeating and under-exercising, you overeat and under-exercise because you’re getting fat. Just as vertical growth is driven by hormones, so is the “horizontal growth” of obesity – in this case, insulin. Insulin becomes elevated by a diet too high in carbohydrates. Have you noticed that people who are fat don’t gain weight continuously? You gain weight and then stay at that weight. This is not because of some “set point” that your body is stuck at. Your body maintains a dynamic equilibrium around usable energy, not fat. One hypothesis is that as fat cells expand, it becomes easier for them to release their fat – just as the pressure inside a blown-up balloon will push out the air. Once enough fat is in the cells that it can be mobilized (burned for fuel), a new equilibrium is reached and you stop gaining. Once fat can be mobilized, you don’t need to eat as much because your cells have fuel. The more insulin circulating in your blood, the harder it is to mobilize your fat stores and burn fat for energy. The more carbohydrates you eat, the more insulin will be circulating in your blood. For those who are genetically vulnerable, a high carb diet eventually causes insulin levels to become chronically elevated, while muscle cells become increasingly resistant to insulin (unable to use dietary glucose for energy). Eventually, fat cells also become insulin resistant, and diabetes is the result. The cellular semi-starvation from excessive fat storage may be why obese women have trouble getting pregnant. It’s actually similar to what happens to women who are underweight. Taubes’ book is quite long and extremely detailed. I’m just highlighting its main conclusions. For the evidence – which is voluminous – read the book. Or try some experiments on your own body. I wrote in a previous post that there are two main reasons that people become overweight: emotional eating and processed food (which is generally high carb). Processed carbohydrates are an unnatural food that cause our body wisdom cues to go haywire. Even if you vanquish emotional eating entirely, you will tend to overeat processed carbohydrates because they induce cravings. Processed carbs taste good, but they don’t make your body feel good. They give you a buzz followed by a crash, and then constant cravings. They also can affect mood, making you depressed. If you’ve never gone without carbs for a period of time, you may not even realize you feel this way because of what you eat. If you have nothing to compare it to, you may think it’s just you. This is why food experiments are such an important part of Stage 2 of Normal Eating. 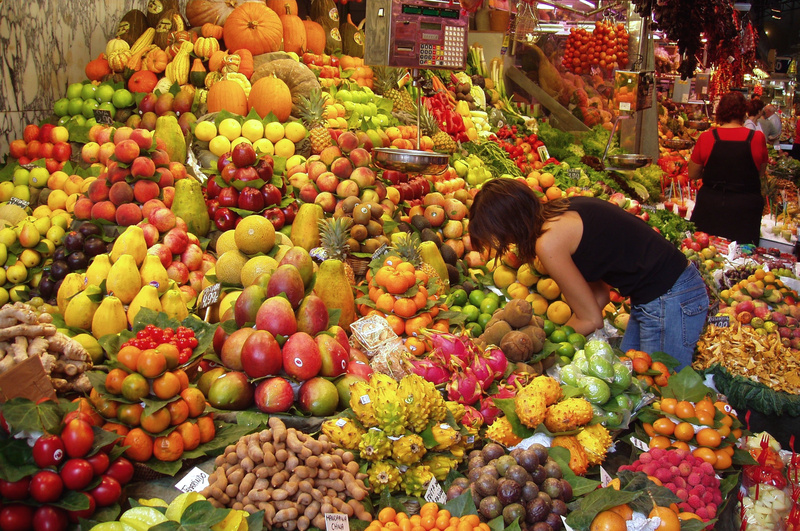 You have to experience first-hand how different foods make you feel to internalize the body wisdom. You can’t read this and believe it, you have to feel it. So in the spirit of experimentation, try reducing your carb intake for a few days or a week and see how you feel. Don’t get black-and-white about it – just see if you can slowly push down your carb intake over time. In particular, try to minimize white flour, white rice, and sweets of all kinds – including honey and artificial sweeteners. If you’re feeling ambitious, try minimizing all grain for a few days – even whole wheat and brown rice. Grain is a Neolithic food, introduced with agriculture. It’s not what we evolved eating, and now it’s the staple of the Western diet. Why cut out artificial sweeteners? Research has found that artificial sweeteners will cause the body to secrete insulin, same as sugar – sweet is sweet. When I read that, I wondered if some people failed to lose weight on low-carb diets because of overuse of artificial sweeteners. If you try lowering your carbs, don’t go the Atkins route of weird ingredients, using highly processed substitutes for flour and sugar. Just skip the bread and the sweets. Stick with real food, recognizable from nature. I’ve been trying this myself the last few weeks. I had no problem cutting out grain, but sweets were a sticking point. No sweet taste at all? That was tough. But I was able to taper off it, and then – surprisingly – it didn’t bother me. It’s really true that eating carbs induces carb craving. The physiological reasons are detailed in Taubes’ book. Once you wean off it, you stop craving it. It’s a bit like quitting smoking. Years ago I tried the Atkins diet and didn’t even last a day because I felt so dizzy and weak. I now realize this is because I wasn’t eating fat. One day last week I again tried eating zero carbs, but this time with lots of bacon and sausage (from the farmer’s market – no nitrates), and I felt fine. Actually, I felt better than fine, to my great surprise. My energy level was high and I didn’t feel hungry at all. And I’ve lost a few pounds since I started experimenting. People in the forum hate when I talk about nutrition; they say it feels like a diet. But it’s not a diet if it’s just an experiment to see how you feel, and it’s not a diet if you choose to eat a certain way because you feel good eating that way. An important part of Normal Eating is understanding, on a deep level, that it is your right to eat whatever you want. But with rights come responsibilities, and this other side of the coin is just as important. No one can tell you what to eat, and that means you must take responsibility for your own eating. In the end, nutrition matters. So what do you think? Are you willing to try lowering your carbs as an experiment? If not, why not? If yes, post your experiences! Holy smokes is this good stuff. I’ve been working on NE for closing in on 2 years and am *finally* at the point where I can look at nutritional information without feeling like it’s diet speak. I’ve drastically cut down my carb intake and feel phenomenal. It wasn’t something that came out of “I should”, it came out of experimentation… just like you said, Sheryl. I first began to notice how crummy I felt after a high-carb breakfast: french toast left me sluggish, as did a scramble with potatoes or biscuits. Even cereal (the no sugar, high fiber stuff) left me hungry and unsatisfied relatively soon after eating it. Even after I switched to almond milk and added fruit to my cereal. Then I started noticing how lousy I felt after a meal of spaghetti and garlic bread at dinner. I’d feel bloaty and over-salted and whatever I drank at the meal would feel like I was carrying a 5gal jug of water in my stomach. Later on I started noticing how unsatiated I’d feel with these meals–even if I was “full” it wasn’t a comfortable “I ate and can move on” full. Lots of forum folk have said how they feel that eating refined carbs leads to eating more refined carbs. I also noticed how it was much harder to stop eating these things than it was to stop eating things like veggies and meat. There’s a different “trigger point” for those items that is very clear. All of this experimentation went on for well over a year. I’m now at the point where I get most of my carbohydrates from fruits and veggies. Sometimes whole wheat noodles or a bit of rice, about three slices of sprouted wheat bread a week, enters my diet. I’m still VERY prone to eating chocolate and having honey on my fruit, though. I’m still not willing to “give up” the effects of sugar but have learned how to balance it with having nutritionally sound food in my tummy before eating (to combat the insulin spikes). All this is true, but it is very important to continue educating ourselves about fat. It’s not all fat that we need or is beneficial — even when talking specifically about saturated fat. There’s a huge difference between the fat of animals eating their natural diets — grass in the case of cows — and that of animals in confinement, eating corn and soy. I believe this is a huge factor that affects our health. As long as we continue to eat those grains — directly or through animal products — we are in trouble. I totally agree about the grass-fed beef! I’m planning another post on omega-3 fatty acids that addresses this issue specifically. P.S. the Neanderthin Diet book is out of print and I was wondering if you could reccomend another one. I have to admit I’m not much into the whole colon cleanse, liver cleanse thing. Our bodies do a fine job of elimination and cleansing in the natural course of things. I think these measures are unnecessary, and sometimes dangerous. My orientation is towards the natural. If we eat what evolution has adapted us to eat, we will be healthy without having to do anything special. Our bodies are very wise. I know quite a bit about bowel disease because I have ulcerative colitis. If you had parasites in your colon, you’d be very sick and you wouldn’t need a “colon cleanse” to find out about it. I wouldn’t worry about it. Just eat foods that your great grandmother would have recognized. Stay away from the processed stuff, and you’ll generally be fine. If you have a tendency to gain weight, then limit carbs. Even if you don’t have problems with weight gain, you may want to limit grain because it disturbs your omega-3 to omega-6 ratio – an issue I’m planning to address in a future post. This is really interesting stuff. I have just been experimenting, these past 2 or 3 days, of having fish and raw veg (broccoli) in the morning, with rich dressing and hot tea. It sounds wierd but it is exactly what I feel like and funnily enough after it I fel totally sated and also very energised, not sluggish or cravy. Now, I am not at the stage where I want to play around too much with this (and trigger cravings from feeling deprived) but I like knowing how good this makes me feel. Also, like others have said, much easier to stop eating. No craving for me. However, I don’t buy the whole “this is what our ancestors evolved eating therefore it must be good for us”. First of all, “our” ancestors evolved using all sorts of foods (which vary enormously from country to country and what often just turns up in books is what The Western’s world’s ancestors did, not other areas like Africa, China, Russia and so on). Also, just because people lived and reproduced eating what they did, does not mean it is best for them, rather it was what was to hand. I do not think just because this is how things were in the past, that that is the best way full stop. To me its more that that was available to them at the time. Does not mean there were not negative physical consequences to that type of diet either. People surviving on a meat and veg diet also suffered from countless other diseases and afflictions that we don’t now, thanks to advances in medical knowledge and technologies. So there is a danger I think of romanticising what people in the past ate, but in fact I personally do not believe that it is necessarily better than now. Although if you are talking about all the processed garbage and additive laden food than Yes, i totally agree! but not all modern foods/ways of eating. I’m eager to take you up on the invitation to conduct eating experiments and play around with reducing carbs, especially the white flour, processed kind. As I’ve been paying more attention to how my body reacts to different kinds of foods, I’ve noticed that refined carbohydrates, whether pure sugar as in candy or just white flour based food like bread or pasta, seem to throw a switch in my body, that turns on the cravings and turns down my ability to notice when I’ve actually gotten enough to eat. I do want to comment on one point that you make in your summary of Taub’s work (which I haven’t yet read). This is that we evolved as hunter-gatherers eating a diet based chiefly on red meat. There are very few anthropologists who still believe that early hunter-gatherers ate mostly meat. Where abundant plant sources were available (in most of the world with just a few notable exceptions such as the Arctic), our ancestors based their diet on these plant sources, which were very varied — leaves, fruits, nuts, roots, etc. Even in deserts in sub-Saharan Africa plants made up most of the diet. Meat was important too, of course — but was a much more sporadic food source. Why? Because hunting is more risky, requires more energy, and isn’t as dependable — animals are always moving around! I think Michael Pollan was right when he wrote (I’m forgetting where), “Eat food. Not too much. Mostly plants.” I don’t think in this context he was making a point about the evolution of human diets, but I actually think this would be the typical diet of early humans as well! I have no doubt, however, about the truth of your point that processed foods don’t belong in our diet. Thanks for this fascinating blog post!! Reference to the paleo diet as a gold standard for nutrition isn’t about romanticizing the past, it’s about the science of evolution. The food that was available to human beings for the first 2 million years of their existence is the food that the human body is adapted to eat. > Also, just because people lived and reproduced eating what they did, does not mean it is best for them, rather it was what was to hand. Actually, that’s EXACTLY what it means – over time it became what’s best for us because the theory of evolution says our bodies adapt to what is on hand. The individuals whose bodies were best able to use the nutrition from the available food lived to reproduce. > People surviving on a meat and veg diet also suffered from countless other diseases and afflictions that we don’t now, thanks to advances in medical knowledge and technologies. Paleolithic people died of accident and contagious disease, but they didn’t die of NON-INFECTIOUS disease, the diseases with no infectious agent like heart disease, diabetes, cancer, colitis, multiple sclerosis, etc. Autoimmune and other non-infectious diseases have no clear cause, and many suspect diet – the new foods we’ve started eating that our bodies are not adapted to use. There have been two waves of new food – the first 10,000 years ago with the start of agriculture (the Neolithic revolution), and the second just last century with the rise of processed foods. People have mapped the appearance of MS around the world, and the map is identical to the appearance of Neolithic food – grain and milk – around the world. There are countless similar reports and studies. An entire chapter of Taubes’ book recounts these – hunter-gather cultures who had no non-infectious disease, and then suddenly got ALL of them after they started eating the Western diet of white flour, white rice, and sugar. This is from Pollan’s book “In Defense of Food”, which in general I liked very much, but I disagree with his “mostly plants” assertion. I think he got this wrong. He said that no experts thought people evolved on a mainly meat diet. This is simply incorrect. Many experts think so, as you’ll see in the quote below. While it’s impossible to know exactly what Paleolithic people ate, we can make some good guesses. One way we know is the structure of our digestive tracts, which are very similar to that of dogs and other carnivorous animals, and very dissimilar to that of herbivores (animals that eat only plants). We also know some practical things. Paleolithic humans did not keep animals – they hunted them. You don’t milk animals you hunt. And we know that until the Neolithic era 10,000 years ago, most people over the age of 3-4 (after weaning) did not have the enzyme to digest the sugar in milk. Many people today still lack this enzyme, and are lactose intolerant. One reason that anthropologists think that Paleolithic people did not eat grain is because it was virtually impossible to gather before agriculture, when we specially bred wheat so it would stay on the stalk and be easier to harvest. Also, grain is tiny – it’s just too time-consuming to gather this. Until very recently, it was thought that humans starting cooking their food only 200,000 years ago, and for most of their evolution ate their food raw. A Harvard anthropologist recently debunked this idea in his book “Catching Fire”, where he argues that it was actually the discovery of cooking that allowed our brains to grow so large – that cooking made us human. I thought his argument was very convincing, though many people still don’t believe it. In any case, many people use the touchstone of “can you eat it raw” to determine whether Paleolithic people ate it. You can’t eat grain raw. But even if you allow that Paleolithic people cooked, they probably did not eat grain because of the harvesting difficulty. We also get clues about the dietary make-up of Paleolithic people by studying the hunter-gatherer societies that still exist. There are almost none now, but there were many in the early 1900s and many researchers studied their diet and health. This is covered to some extent in Taubes’ book in the discussion of modern diseases following modern food, but he doesn’t talk much about what they actually ate. > Meat was important too, of course — but was a much more sporadic food source. Why? Because hunting is more risky, requires more energy, and isn’t as dependable — animals are always moving around! Our analysis showed that whenever and wherever it was ecologically possible, hunter-gatherers consumed high amounts (45–65% of energy) of animal food. Most (73%) of the worldwide hunter-gatherer societies derived >50% (56–65% of energy) of their subsistence from animal foods, whereas only 14% of these societies derived >50% (56–65% of energy) of their subsistence from gathered plant foods. This high reliance on animal-based foods coupled with the relatively low carbohydrate content of wild plant foods produces universally characteristic macronutrient consumption ratios in which protein is elevated (19–35% of energy) at the expense of carbohydrates (22–40% of energy). I’ve been meaning to post a review of Pollan’s book on Amazon disagreeing with this one point he makes, “mostly plants”. Maybe I’ll do it today. Primal Body, Primal Mind by Nora Gedgaudas is a recently published book explaining the superiority of a paleolithic diet. It’s worth a read, anyway. Thanks for the suggestion. I hadn’t heard of that one. I just ordered it. I had some problems with it. I’m starting to think I should write my own book on nutrition – can’t find one to recommend. Hi, Sheryl. Your post makes so much sense. You’re right, it’s pretty easy to experiment with the “lipid hypothesis” on your own. I started adding saturated fat back into my diet after reading Weston Price’s book, “Nutrition and Physical Degeneration.” I was living in Scotland at the time, so that meant lots of butter, grass fed meats, and even goose fat by the jar! I was amazed not to see a single extra pound on the scale. Andrea is right, too. The quality of the fat is so important. We are what we eat, but we are what our food eats, as well. Hi Sheryl, are you familiar with the work of Weston A. Price? If not, I highly recommend you look into it. Dr. Price studied the eating habits of “primitive” peoples in the early 1900s and saw firsthand how their health and even bone structure declined within one generation of eating “modern” foods. These people were thriving on diets that generally did include milk and grains, but that were prepared differently than we do now. The Weston A. Price foundation’s website has a great deal of information on his work, and I’ve been following their advice for some time now. As a former eating disorder sufferer, for the first time I actually feel like I’m eating normally. I can include grains, but mainly soaked or sour-leavened. What makes the absolute overwhelming difference, in my opinion, is including a large amount of fat in my diet, mostly from animal sources and saturated. I am a size 2, by the way, so I can testify that eating more fat actually makes you thinner, not vice versa. There’s something about saturated fat that is highly satiating – my theory is our bodies need it and will crave it, one way or another, until they get it. I also don’t go anywhere near corn syrup or the industrial vegetable oils (canola, soy, corn, etc. ), which I think helps, too. > The quality of the fat is so important. We are what we eat, but we are what our food eats, as well. I’m reading a book now about the omega fatty acids (the issue of grassfed beef is one of omega fatty acids), and it’s really interesting how much of the same data that Taubes cited is also used to demonstrate the importance of omega-3 fatty acids. That’s not a big surprise since grain is very high in omega-6 fatty acids and messes up the omega-3 to omega-6 ratio. Eating a lot of grain harms you in two ways – excess carbs and excess omega-6 fatty acids. Jen, that video of Taubes’ lecture at Stevens Institute is what prompted me to buy and read his book. It’s an eye opener! Well worth watching. > Hi Sheryl, are you familiar with the work of Weston A. Price? PS.I went to the Dr. for testing to see if I have a parasite. > You mentioned that fasting/cleansing isn’t natural, but animals do it in nature if they are ill. Yes, definitely true that animals fast when they are ill, and humans also lose their appetites with some types of illness. That’s natural. > it takes time, money and putting myself high up on my “To Do” list. It doesn’t have to take a lot of money, but it does take time and making self-care a priority. Self-care is very important, and not just in regard to what we eat. I put laxatives in the same category as enemas. I’m very much against this sort of “cleansing”. It’s unnatural, unnecessary, and potentially dangerous. There is no reason to use a laxative unless you are treating a bowel problem, and even then you have to be very careful because it’s easy to become dependent on them. There is no “cleansing” benefit to laxatives. > Is there a thread on the site discussing how the Normal Eaters balance all that we need to do in life and take care of our own needs? I’d love to hear what has worked for others. I believe a person needs to have a healthy relationship to food, mind and body (aka normal eating…attunement…and possess a self-worth that is not defined by the foods you eat). Without this foundation in place, nutrition issues such as quality of fat, eating green, and so forth, can backfire into dietary-deprivation-backlash and mis-attunement. It’s ironic, because I co-wrote a book, Intuitive Eating, a topic of which I am very passionate (and the basis of my private practice). Yet, my most recent book is on the omega-3/omega-6 issues. Consequently, I receive a lot of questions on how to integrate both issues of self-attunement and quality of food choices. They are not mutually exclusive. I read “Intuitive Eating” years ago. Great book. It’s great to hear from you and get your input. I’ve been reading a lot about the omega-3/omega-6 issue lately. Right now I’m reading “The Queen of Fats”, and I just ordered your book on it. I’m looking forward to reading it. Thanks for the link to the study. I’ve been vaguely aware of the omega-3 role in ulcerative colitis for some time now, but only recently saw some actual studies in medical journals proving the connection. That’s gotten my attention and spurred me to make some changes in what I eat. I’d love to get off medication. Maybe after changing my diet and staying stable for a while, I can wean off the immune suppressants. “I am at a beautiful banquet where sugar and flour are not among the choices.” This frees me to eat/feast on all the other beautiful foods that are present. What’s been keeping me away from sugar and flour lately are all the books I’ve been reading about the health dangers of processed carbs and omega-6 fatty acids. It’s a real wake-up call, especially since I already have an autoimmune disease (ulcerative colitis). I’ve been reading a lot about omega-3 fatty acids, which I knew something about before, but not enough. I’m seeing now how crucially important it is to eat the right kinds of fat when you eat a high fat diet – or really, any kind of diet. The problem isn’t saturated fat – that’s fine. The problem is the excess omega-6 fatty acids we typically eat. Omega-6 fatty acids cause inflammation, and when we overeat them, they beat out omega-3 fatty acids for position in our tissues, causing heart disease, cancer, and all manner of autoimmune disease. Most people eating a Western diet are deficient in omega-3 fatty acids. Partly this is from the meat we eat. Feedlot animals are force-fed grain, which is not their natural food. This includes all chicken and beef from the huge commercial feedlots (the usual grocery store fare), and all farm-raised salmon. Adding to the problem is the widespread use of polyunsaturated vegetable oils like safflower and corn, which are extremely high in omega-6 fatty acids. If you eat a high-fat diet without being careful to eat adequate omega-3 fatty acids (from wild fish, greens, flax seed, etc. ), your health is not fully protected. This is a very important piece of the nutrition picture that I will address more fully when I’m done reading all the books and articles I have here. Appreciated your blog post. Nice summary of the key ideas of the Gary Taubes book. I recently heard a lecture that he gave. His expertise is primarily based in the physical sciences and he approaches obesity from that approach. As a physician, I have probably also leaned too much in the direction of dietary modification and not enough on compulsive eating and related problems. Certainly the best approach is to treat the problem of obesity in every dimension – psychological, physical, nutritional, and spiritual. It’s nice to hear from a physician. My experience in working with people is much the same as Evelyn’s. First you have to deal with the emotional issues, and only then is a person free to make nutritional choices. But even in early stages, you can do experiments. I like to try to get people to do food experiments – even if it’s just for a meal or a day – so they can see how different foods make them feel. Very common sense, wise, well thought out and researched and best of all, it works. I’ve been searching for answers now for decades. Yes, even praying for them. I’m now 39. Without sharing all the details, I’ve eaten emotionally/had bulimia since pre-teen. 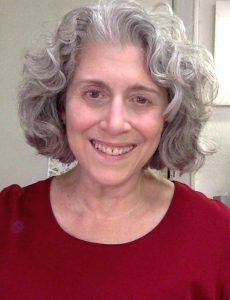 Had therapy, participated in OA for years, lots of restricting diets, etc. However, I was not aware of the term “emotional eating” until about 3 years ago when I joined an online program called “Shrink yourself”. I felt like I had found a key to my problem. I haven’t tried to loose weight for about 6 years now because I knew I would gain it right back–and that is such a devastating experience I just couldn’t go through it again. 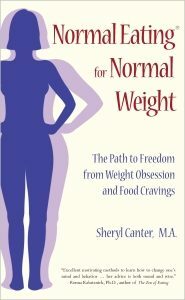 I read a book in January entitled, “In the light of the Moon” regarding emotional eating and eating disorders. I felt it was profound. I found your website about 4 months ago and ordered your book. I felt I finally had found my answers. 275lbs to 233lbs in 3 months. I know it is off for good as long as I apply the principles and continue to invest in self-care. God bless you. It all makes sense to me. Many people need your voice of reason but haven’t found you yet. Keep up the good work. I hope to join your forum soon. > I found your website about 4 months ago and ordered your book. I felt I finally had found my answers. 275lbs to 233lbs in 3 months. I know it is off for good as long as I apply the principles and continue to invest in self-care. That is awesome, Laura. Thanks so much for sharing your experience. > I hope to join your forum soon. The forum is truly wonderful. People can share things on a deep level there, and find it very helpful. I think you’ll like it. I’m a member of your web site and I wanted to ask you a couple of questions. This topic is very interesting and I wonder if it could help me with a bloating problem. I have had a problem with bloating for about a year and a half. Sometimes it’s like I’m 6 months pregnant. I the body type that gains weight all over my body, and have always had belly fat. The bloating is not just more belly fat but it can really look like I’m pregnant. I’m 51 with regular periods still. I have gone to the doctors for it and they concluded that I need to eat more fiber. That seems to work some but not 100%. They also recommended activia yogurt. Do you think this way of eating could help me? Another thing I wanted to ask you was how come most Asian people are a normal weight even though they eat a lot of white rice? I’ve also noticed people that eat a raw diet and some vegetarians are also a normal weight. Thanks for all the great new info you give us. Could you repost the question in the first part of your message in the forum so I can answer it there? That’s the better place to raise new topics. > Another thing I wanted to ask you was how come most Asian people are a normal weight even though they eat a lot of white rice? I don’t have full information on the Asian diet, how it has changed over time, and how weights in Asia have changed over time. But I’m pretty sure I’ve read that Asian weights are rising with a changing diet. I don’t have enough data about this to comment in detail. > I’ve also noticed people that eat a raw diet and some vegetarians are also a normal weight. When you eat food raw, not all the calories in the food are available to your body. In fact, the problem that some people have in maintaining adequate weight on a raw food diet is why the Harvard anthropologist who wrote “Catching Fire” thinks that humans must have cooked their food from the very beginning, 2 million years ago. Some vegetarians are slim, and some people who eat cake and candy all the time are slim. There are some individual differences in carb sensitivity. Isn’t “Catching Fire” a great book? I thought it was a brilliant analysis. I first encountered the author, Richard Wrangham, some years ago, while searching the internet for information on when humans started cooking their food. I came across a video of a talk he gave at the International Association of Culinary Professionals 2005 International Conference called “The Natural Cook: The Significance of Paleo-Gastronomy”. I was amazed. I’d never heard this theory before, and it totally made sense. I bought the talk on CD and then went searching the internet for articles he’d written. When I saw he’d written a book on this, I bought it right away. I found your article very informative and a reminder for me that I should REALLY lower my carb intake. I love carbs, particularly bread and it’s always been a problem for me when dieting. You are so right though that your energy level increases immensely if you cut down on carbs. A few years ago I read a book by a French doctor (it was a white book, don’t remember what it was called) who said the same thing. He also said not to have potatoes with meat because it makes it even harder for the stomach to digest the food and so most of it will be turned into fat. This is a great discussion Sheryl, and I am fast realising the role of excess carbohydrates/low fat eating has had on my health. Am reading a great book which pulls on a lot of the similar information that you are highlighting called Real Food by Nina Planck. Good to learn that my love of butter is supported by research…I knew margarine was not really a food!! I revise my comments here Sheryl..I have gone through alot of info on the internet on Taubes, Paleo diet and am even trying it myself. it now males ALOT of sense to me and I am off now to researcha all the authors you guys have mentioned! I was told by a nutritionist a while back to eat mianly a paleo diet at the time – thought she was nuts at the time (fish for breakfast??) but now am totally onto it. I am so glad that you research this stuff so much and pass it on. Thanks. When I first read this post – I did freak out a bit. So I am definately not at stage four. The article made a lot of sense, but I didn’t know what to do with the information. It made me aware that I do have fear of red meat. I didn’t realize that about myself because I do eat it on occasion, but I do avoid it when given a choice. After about a week, I’ve calmed down and have been experimenting. I’ll look for grass fed beef – I’m lucky enough to live in an area where I should easily be able to find it now that my awareness is up. Even though I’m pleased with making more whole grain choices, I can experiment with backing off on their proportion on my plate during meals. I doubt I’ll ever become a true paleao eater – ever. Sounds like waaaayyyy too much effort in studying & shopping for me. But my awareness has been raised so I can keep gathering information during my life journey and applying that info where I’m willing. I’m very much into hiking right now – and long term energy definately holds appeal. On a side note: What about the notion of carbs being brain food? Is that all bunk? > On a side note: What about the notion of carbs being brain food? Is that all bunk? Yes, that’s bunk. If anything’s brain food, it’s cholesterol. Our brains are mainly composed of fat. To add to the list of resources espousing the benefits and how-to of the paleo diet, Mark Sisson of http://www.marksdailyapple.com/ recently published a book detailing his Primal Blueprint, which is primarily the paleo diet extended into an all-round healthy lifestyle, including paleo-appropriate exercise. It’s not as strict as paleo – cheese, for instance, is considered a ‘sensible indulgence’ – so is a great way into a healthier lifestyle for people needing to transition from high-carb/low-fat to healthy eating. Great blog Sheryl! I’m planning to send around your Good Nutrition: Myths & Facts post to the 100+ staff at the school where I work. Hopefully if enough of us realise that we’ve been fed lies by the ‘experts’ of the past, we can help today’s youth make truly healthy choices. This would be wonderful. The indoctrination starts early. Schools are a crucial place to start getting the word out. Sheryl, I have found your website and your comments to be interesting and compassionate. However I have issues with some of the examples used here: particularly the idea that very primitive human beings ate an ideal diet which was “ruined” with the introduction of agriculture and “white” foods. First off, we don’t know everything about how people lived and ate tens of thousands of years ago; much of what we THINK we “know” is hypothesis. What we DO know is that people living then had VERY short lives compared to the modern era. The average lifespan was probably about 35-40, if that. If you think about that carefully, their diet (good or bad) may NOT have protected them from “modern” diseases like diabetes or heart disease — because almost everyone back then DIED before they could have developed those diseases. Say what you like about modern times, technology, industrialized foods, “white” processed foods, (even obesity itself) but human beings today are HEALTHIER than at other other time in history and we live MUCH longer. Medical advances are surely one reason — but adequate nutrition is another. Maybe widespread obesity is the price we had to pay (so far) to avoid the early deaths, malnutrition and short lives of our ancient ancestors. In any event, I wouldn’t be too quick to try and adopt a lifestyle that has been gone for ten millennia. Lastly, I want to tell you about my own family. At least 80% of my blood relatives are obese; most are morbidly obese. Of my parents and grandparents generation, almost all were that heavy…all had coronary artery disease. Most had Type II diabetes. Only a few lived past 70. BUT…they lived in rural Czechoslovakia, on a farm in a small village. No electricity, no modern conveniences. They ate what they grew. The nearest city with stores was hours away. They did hard physical labor all day. The women did heavy cleaning and housework, without labor saving appliances. They cooked every morsel of food from scratch, from natural home-grown ingredients. Everything was, needless to say, “organic”. Any meat-producing animals were pastured and grass fed. There were (again, obviously) no bakeries, no restaurants, no fast food, no “snacks”, no television…no advertising. AND THEY WERE ALL STILL FAT…hugely fat. My aunt weighed 425 pounds. I had a second cousin who weighed 375 lbs. In other words, they had NONE of the things we currently like to blame obesity on, and yet they were still obese. It is very clear to me that the cause(s) of obesity are still even remotely understood, and that there is no cure or treatment (besides gastric bypass surgery) that offers even a partial recovery. It sounds like you have something genetically going on in your family that causes obesity. I don’t think you can generalize from this. I’ve read that not more than 5% of the population has this extreme a genetic tendency. You mentioned in one of your post about how you felt a lack of energy when you were limiting or avoiding grain carbs. Last summer I tried that and after a few days of it I couldn’t exercise because I had no energy. You however said once you added or increased fat, your energy was great. What kind of fat did you add? Saturated from animals or unsaturated/mono from plant oils, etc or both? It doesn’t matter what kind of fat, as long as it’s healthy fat and not damaged.